When the end of my internship and thus my university career in general was approaching I was really looking forward to all the time I would have for reading (and blogging). That’s a few months ago now, and I have to say – I’ve not read much at all. I’ve only read 7 books so far this year, which is way too few. Lucky for me, I found out this week that my favourite read-a-thon is having its 19th edition next week. I’m not really sure how much time I’ll actually be able to spend on reading next week, but I’ll try my best to read as much as I can and have fun while doing so. That’s what Bout of Books is all about after all! I’ve been thinking about doing a binge read of the Raven Cycle books by Maggie Stiefvater. I’ve already read the first two books, but I read the second one stretched out over a pretty long period of time, so I wasn’t able to really get into it (although I loved it nonetheless). To really get the full experience, I figure a binge of all four books is in order. Perhaps I’ll start on that next week! I think I’ll add my daily updates to this post, which I’ll then tweet out every day. Perhaps I’ll also participate in some challenges, most likely on Instagram. We’ll see how it goes! In any case, I’m really excited about participating again. Are you participating as well? Let me know in the comments! I decided to go ahead with my Raven Cycle (re)read, so I started reading The Raven Boys. I’d forgotten just how much I love that book! I’m pretty pleased with how much reading I got done, considering I had a couple of others things to do today as well. Tomorrow will be much busier, but hopefully I’ll get a few hours of reading in. I got an extraordinarily small amount of reading done today. It was my mother’s birthday, so I spent most of the day in the kitchen baking up a storm, and all of the evening socialising with friends and family. Which was fun as well! I do hope to significantly more reading done tomorrow, though. I’m really pleased with how much reading I got done today! I also had a job interview and some editing work to do, so I couldn’t spend the entire day with the raven boys and Blue, but I managed to finish my reread of The Raven Boys nonetheless. Now, on to a reread of The Dream Thieves! After that, I’ll finally be able to read the last two books in the series for the first time. Oh, I also did the daily challenge today! I put up a shelfie on Instagram. I didn’t get as much reading done as I thought I would at the start of the day, because the weather was great for a change and I ended up hanging out at the park with friends (and watching Eurovision in the evening). No regrets, though – I had a wonderful day! Even though I had some other things to do during the day, I managed to get quite a bit of reading done in the late afternoon and the evening! I’m really enjoying reading The Dream Thieves for more than a couple of pages at a time, which is how I read it the last time. Hopefully I’ll be able to finish it tomorrow. I was planning on finishing The Dream Thieves today, but I knew that was probably a bit too ambitious since I wouldn’t be able to read during the evening. I had a fun night watching Eurovision, though! One more day to go, and I’m convinced I’ll be able to finish one more book tomorrow. Bring it on! The last day of the read-a-thon! It was a great day for reading, and I’m very pleased with how much I got done. I managed to finish The Dream Thieves, like I hoped, and I even got a couple of chapters into Blue Lily, Lily Blue! I had an absolute blast this week! Although unforunately I didn’t spend as much time on Twitter and Instagram as I did during previous readathons, I did have a wonderful time reading The Raven Cycle. And I don’t even feel as if I spent that much time reading – I did lots of other stuff during the week as well. Next time, I hope to do some more socialising on Twitter, but for now this was a great way for me to get back into reading for longer periods of time, instead of just a few pages. Hopefully I’ll be able to keep it up! 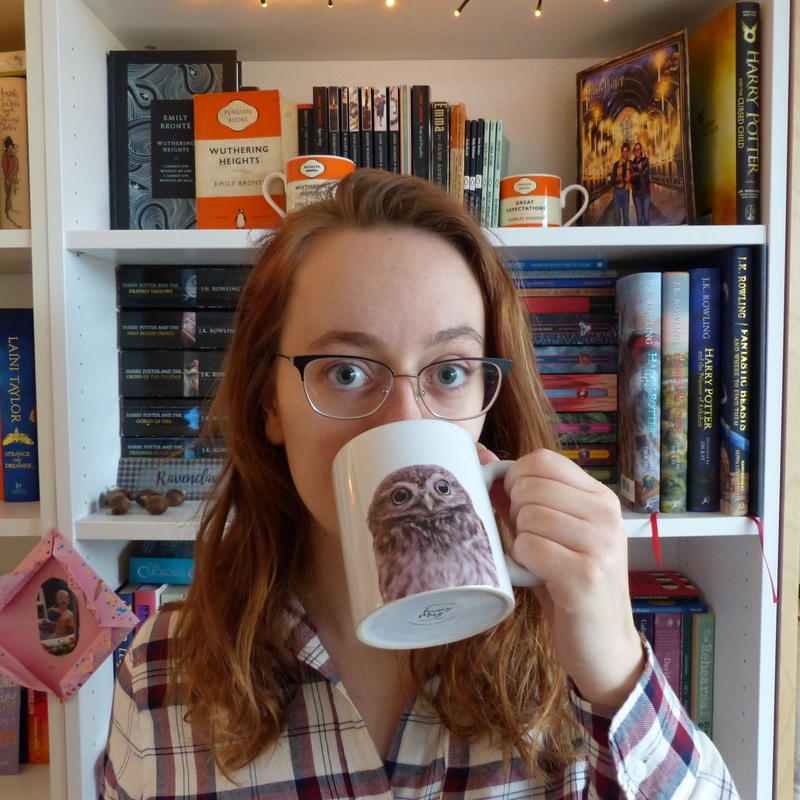 I’m listening to Harry Potter on the side during this readathon too! I love Stephen Fry, he really brings them to life! I finished Chamber of Secrets yesterday, and I’m just on the Hogwarts Express on the way to school in Prisoner of Azkaban.